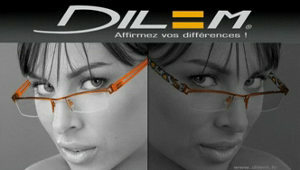 Designed and made in France, Dilem feature a unique and revolutionary patented system of interchangeable temples (sides). Dilem style is modern and fundamentally fashion when it comes to design, colours and temple side decorations. Dilem frames use quality construction using XP2 polymer and titanium metals, which result in an ultra light but also incredibly strong frames. These are easily one of the best frames for both build quality and design that we have found. You can view and buy additional Dilem temples here or visit Highbury Optometrists in person. For more information and an extensive online colour catalogue, view the Dilem web site.